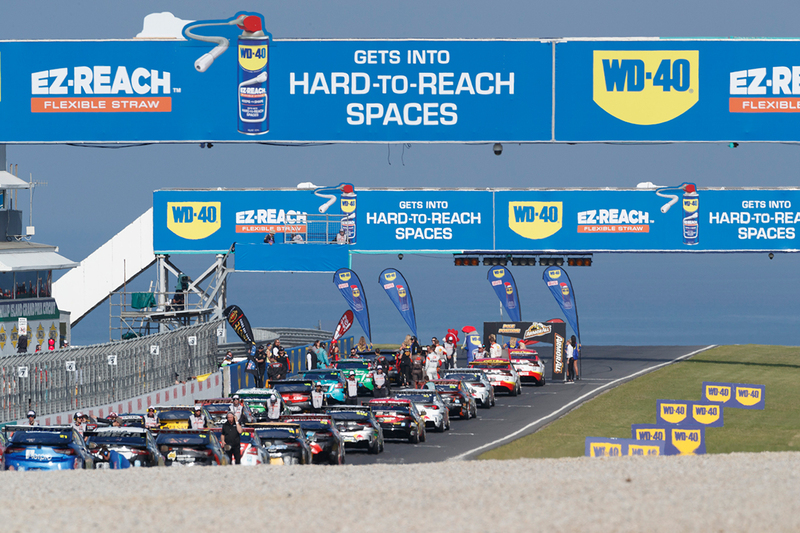 WD-40 will hold the naming rights for Supercars' Phillip Island event, the WD-40 Phillip Island SuperSprint, for a fifth-consecutive year. Returning to a SuperSprint format for 2019, the event will run at the scenic Victorian circuit on April 12-14. This year’s event is the 30th for the Australian Touring Car Championship/Virgin Australia Supercars Championship at Phillip Island. It has been the scene of some of the greatest victories to the likes of Peter Brock, Colin Bond, Allan Grice, Larry Perkins and Craig Lowndes. “The Virgin Australia Supercars Championship is delighted to showcase Phillip Island on a global stage by bringing the world’s best touring car racing to Victoria,” Supercars CEO Sean Seamer said. “Victoria is considered the home of Australian motorsport, a heartland of the sport and where many of our teams and drivers live. “It is also the only state in Australia to host four Supercars events. “The WD-40 Phillip Island SuperSprint promises to be a weekend of incredible racing and spectacular action for those at track and watching around the world. 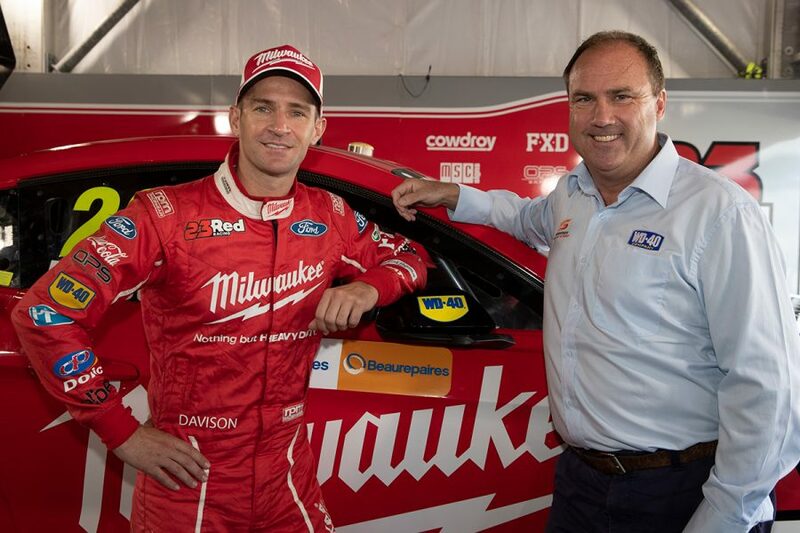 Nick Roberts, WD-40 Company General Manager, above with Will Davison, said: “WD-40 is very excited to continue our partnership with Supercars as naming rights sponsor for another season. “Supercars remains the perfect fit for the WD-40 brands and we are excited to be involved with the iconic Phillip Island circuit. “We know that many WD-40 brand users are passionate about what they do, be that in trade, DIY, or sport and that same spirit is shared with Supercars.